Again, I’m very excited to receive my contributor’s copy of The Kiwi Diary. 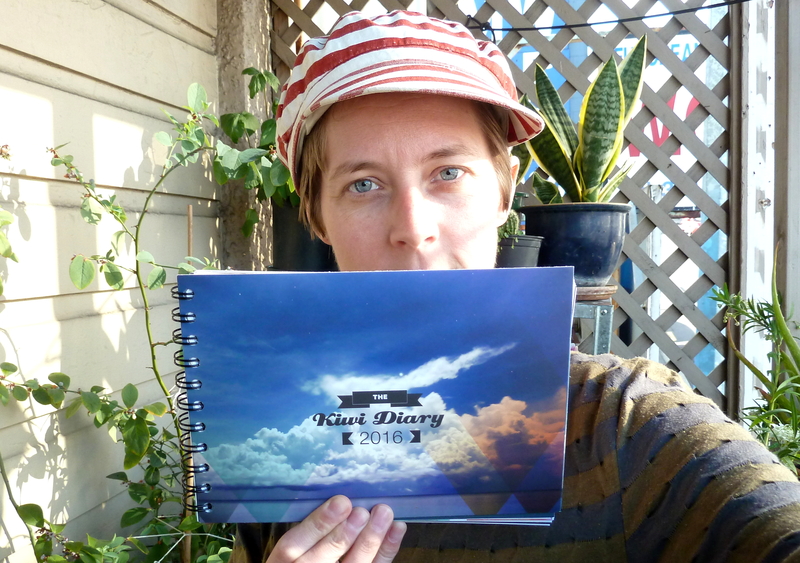 I love my Kiwi Diary and I use it all the time… (Think “I love my leather jacket” by The Chills when you read that sentence). This is the third year in a row that some words of mine have been lovingly placed among the days of the year – and next year, to be precise, between November 6th and November 7th, with a page all to its own. 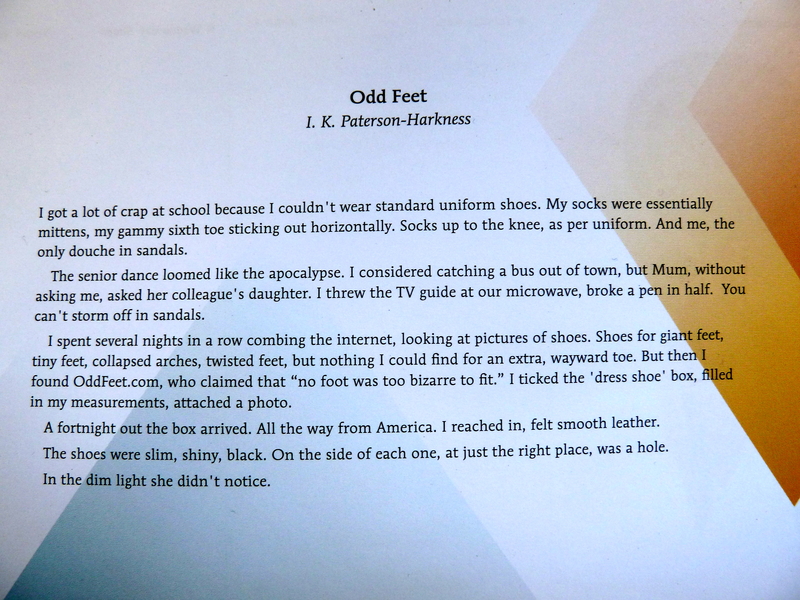 Odd Feet is actually one of the first pieces of flash fiction that I wrote, and I’m glad it has finally found a home somewhere. I get rather attached to my characters (even if they’re only characterised by their feet), and feel a little sad for them if they sit too long in my ‘Writing’ folder, without getting out there and experiencing the big wide world. If you click on the picture above, it will enlarge so you can read the story. 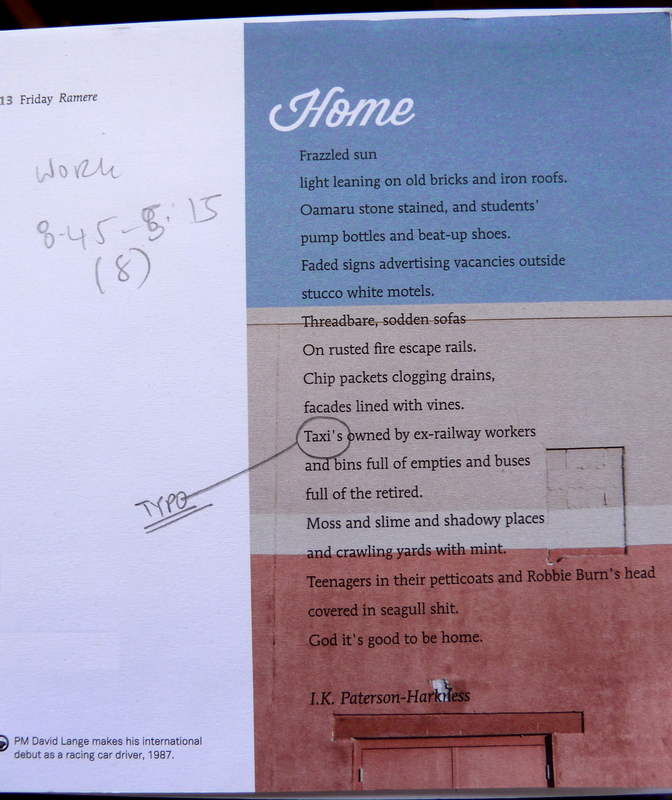 Coincidentally, my poem ‘Home’ is placed beside today’s date in the current (2015) Kiwi Diary. It’s about Dunedin, my home-town, which I visit about once per year. According to The Kiwi Diary, today is also the day that ex-Prime Minister David Lange made his international debut as a racing car driver, in 1987. Well, now. Fancy that.